It is important for every investor to understand clearly what they expect from an investment and based on this determine how much they will invest and what is their risk tolerance. Smart investors understand that in order to make a great return you must invest in different investment types. this means placing some of your money in secure stock investments that will likely offer a low return, and a smaller amount of your money in high risk investments that have the potential to provide you with exceptional returns. In terms of higher risk investments with high potential rewards, investors have a range of options to choose from. They can pick anything from Bitcoin to investing in a tech start-up. Both offer a chance to provide a return that is a multiple of the amount invested and to get that return in a relatively short period of time. Stocks are also hugely popular choice for investors. The stock exchanges around the world have trillions of dollars invested in public companies. There are tens of millions of investors who like to be a part of the great business success stories that are constantly emerging around the world. These successes can translate into financial returns that mean freedom for those who can pick the right organizations at the right time and take the investor plunge. This type of investing typically means that you find a broker who can advise you and place you into the right stocks. There are those who invest in commodities who look for shorter investment terms, perhaps a season or a year at the most. These investors follow world trends. They look to see if commercial or residential construction is picking up, meaning there will be an increase the prices of building materials and fuels. Or if the economies around the world are doing well. In this case people will spend more money on things like beef. The investor will invest in contracts that are set for a period of time. Another option is for those investors who are not sure if a stock or commodity price will rise or fall. There are investment opportunities where you can make great returns no matter the way the market or a particular stock or commodity price goes. 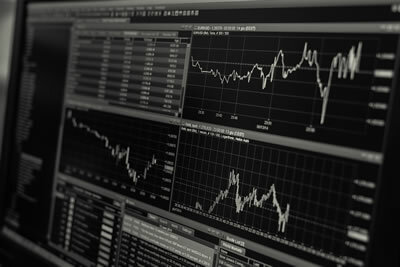 One example is with spread betting which is to bet on the difference between the current price of the asset, and where you think it will go within a certain period of time. The investor or bettor will not purchase the asset and only pay for the bet made on the move amount. This is a cheaper way to invest and you can invest no matter which way you believe the asset will move. For investors looking to be active in their stock investing, spread betting offers an ideal opportunity. You can do spread betting online using a platform that is provided. You can gain access to thousands of markets where you can bet on stocks, currency pairs and commodities. The best online spread betting platforms also provide you with training tools and research as well.